With a gorgeous 8-inch display of 2,048 x 1,536 pixel resolution, the Asus ZenPad 3 (Z581KL) is the device you would turn your attention to if you weren’t going to purchase the Apple iPad mini 4, which boasts the same screen properties without the front-facing stereo speakers. Asus chose “In Search of Incredible” as the theme for its line of ZenPad tablets. Does that theme mean anything or is it just another marketing gimmick? Let’s find out. During Computex 2016 in Taipei, Asus presented the Asus Transformer 3 Pro for the first time. It was a hybrid beast born to use Asus’s new super bright 12.6″ 3K panel. 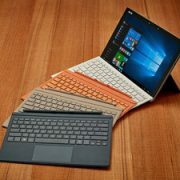 The Asus Transformer 3 Pro (official website) is now available with either a Core i5 or Core i7 processor, 8 / 16 GB of RAM, and 256 / 512 GB SSD. Pretty standard in terms of modern-day computing needs. These specs are offered at a lower base price than the Microsoft Surface Pro 4. We believe this might entice some users to abandon the tech giant for this shy (but shiny!) newcomer. The Asus ZenWatch 3 boasts an energy-efficient Qualcomm Snapdragon 2100 processor and a 1.39-inch AMOLED display with a pixel density of 287 pixels. The strap is available in genuine leather or rubber. You can choose from black, dark brown or rose-gold and white color. The Asus Zenwatch 3 price hovers around $229.99. 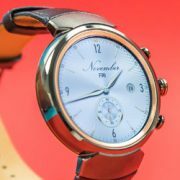 For that price, you will get an Android watch with a luxurious look and feel. To clear things first, don’t expect a fully-detailed Asus ZenWatch 3 review. Rather, I’ll just highlight the good, the bad, and the ugly things I found in this Android wear gadget.